Rupert Read on how saying 'no' to an interview kicked off a series of events that led to a welcome u-turn from the BBC. A little over a month ago, I was rung up by the BBC. Would I come on, to debate the reality of anthropogenic dangerous climate change with a denier? My normal habit would have been to say “Yes”. It’s a media opportunity – what else does one need to know? But, while my ego was assuming that I would take the opportunity, and before I could open my mouth, something else rose up within me, from my gut. A call of conscience. I just couldn’t do it any more. I couldn’t pretend that there was any debate to be had with these pseudo-scientists, the deniers. I couldn’t stomach the absurdity of debating with them while the planet literally burns. From my precautionary perspective – wherein it is obvious that the right thing to do is to cut back emissions drastically, recognising that we are in an emergency – I couldn’t engage any more with these utterly reckless people who think its OK to carry on polluting like there’s no tomorrow, almost as if they don’t want there to be one. So, as I set out in an article for Left Foot Forward last month, I said “No”. I expressed my willingness to take part in lots of other debates about climate — e.g. is a carbon tax what we need? Or a Green New Deal? But not, any longer, to participate in the charade of debating these dangerous jokers, the denialists. That was that. They found someone else (a climate scientist) willing to go on instead of me. And I got on with my day. That evening, I thought back to what had happened earlier, and decided to tweet about it. I thought: Maybe what I’ve done, the little gesture of refusal I had made, might resonate with some people. Maybe I’ll even get 30 or 40 re-tweets out of this. Before I went to bed that night, I already had 1,000 RTs. More than for any tweet I’d ever previously done. Next morning, I woke up to find I had 10,000 RTs. I started getting calls from the media, in Britain and abroad. The story even made it to Australia. I wrote a Guardian op-ed, setting out my reasoning in detail for why we should boycott debates with denialists on the reality of climate chaos, and for why that would force a change of approach from broadcasters. And that tweet meanwhile just kept on growing. It was retweeted by some very notable names, including, most intriguingly of all, by Richard Sambrook, former Head of News at the BBC, who agrees – like many BBC journalists who contacted me privately – with what I had called for. (It’s now been RTd by 42,000 people, and liked by 60,000). I decided it was time to get a letter together, of distinguished politicians, writers, and scientists, so that together we could put forward the same point of view: that the time for debate with denialists is past. The letter, signed by 60 of us including Jonathon Porritt, Peter Tatchell, George Monbiot, and politicians from Labour, the Lib Dems and Greens, made a splash appearing in print nationally. 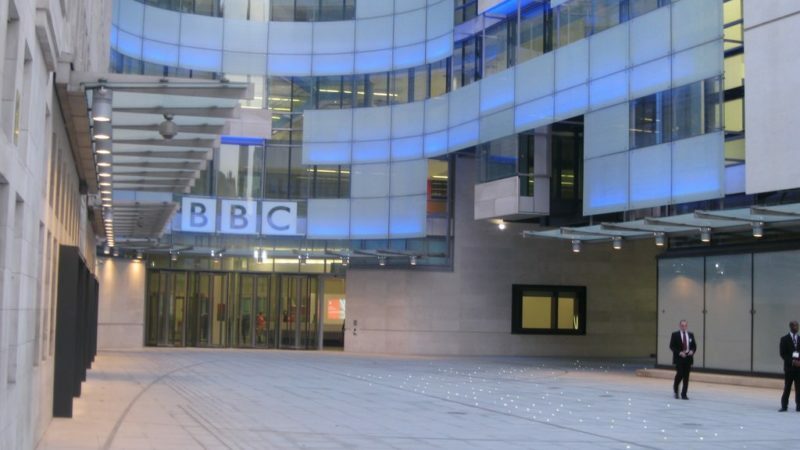 Then, on Friday, this article appeared in the Guardian, showcasing a brand-new leaked memo – the central point being that the BBC has at last has accepted that it gets coverage of climate change “wrong too often”. Exactly what was at issue when I got the call from the Beeb at the start of August, and said ‘No’. Blimey. It looks like we won!